Kalanag was the stage name of Helmut Schreiber (1903–63), a magician and film producer deeply ensconced within the Nazi party during the Second World War, performing to many high-ranking officers including the Führer himself. 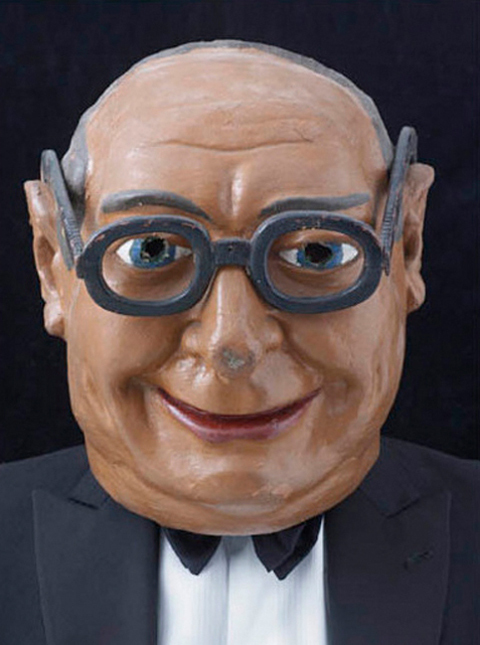 The papier-mâché heads found in bifurcated view in Kalanag Double  are the actual props used by Kalanag during his world-touring stage show in the years following the war. They were to be worn by stand-ins who would briefly appear on stage, duping audiences into supposing that they had glimpsed the spectacular materialisation of the magician himself. 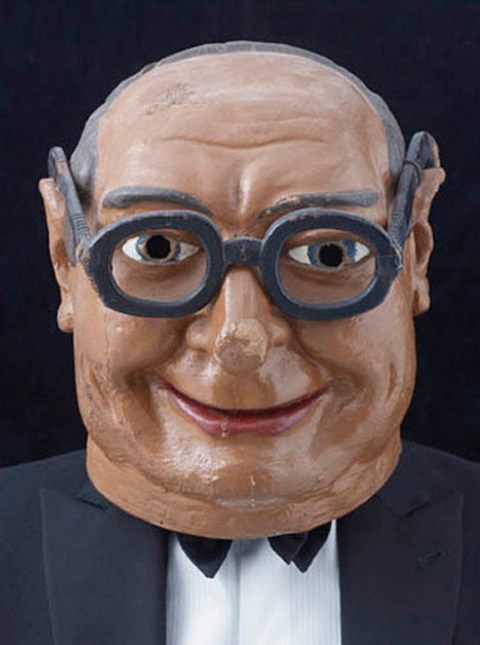 In this doppelganger portrait we are afforded an opportunity, for the first time, to cross-examine these heads, the crudeness of their caricature and their scars from years of usage. We should perhaps shudder before these ciphers for conflicting genres of power, as Kalanag contaminated the figure of the benign entertainer with the nefarious potential of powers deployed to misdirect consent or facilitate coercion.